State-of-the-art frac & produced water aeration turbine, using up to 7 times less horse power than competing aerators. 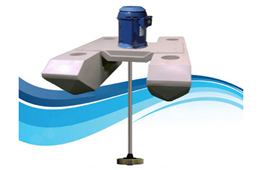 Designed specifically for fracking & produced water treatment. The turbine aerator is specifically designed for frac & produced water aeration, injecting 34 liters per second of air as dissolved oxygen. 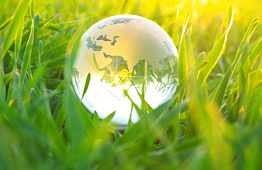 FracCure offers Neutral Anolyte Biocide which is a green friendly biocide for down hole fracking. Known for its killing power, it reverts back to water when the job is done. Air is injected with the turbine, as dissolved oxygen, oxygenating the frac water. Aerobic microbes explode in population with the presence of oxygen. The microbes begin consuming all of the organics as a food source. Metals are oxidized and fall out. The end results are very clear. The above image shows the results after only seven hours of frac tank aeration. Neutral Anolyte Biocide is a potent non-chemical biocide. It is made through the electro-chemical activation of water. FracCure Receives an Award for Drilling Water Intake Wells. 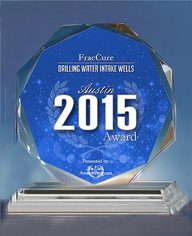 FracCure has been selected for the 2015 Austin Awards for Drilling Water Intake Wells. 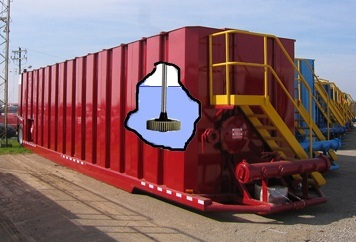 FracCure has the only Aerator that can efficiently aerate portable frac tanks. 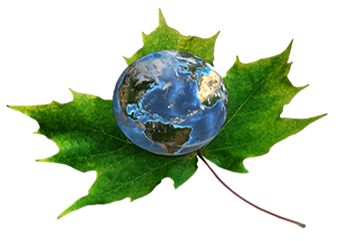 FracCure in talks with HED Environmental Systems for pre-treatment for a great frac water recycling technology. Nov. 2013. Neutral Anolyte toxicity report shines. 7 Days ago.